Similar to other adjustable rate mortgages, the interest rate for an option ARM is tied to an economic indicator (MTA, LIBOR, or COSI) plus a margin. 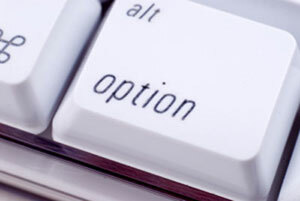 What makes the option ARM different is you have the option to choose from a selection of payments. Each month, depending on your financial condition, you can choose a payment that best fits your needs. Any Amount – You can pay this amount above and beyond the other options, with no penalty. This type of home loan is best for people whose income fluctuates due to commission or bonuses. Qualification for the loan is based on the fully indexed rate plus principle. The option ARM is also referred to as a negative amortization loan, or neg-am loan. If you only pay the minimum amount due, you do not even cover the minimum interest payment due. The unpaid portion of the interest is tacked on to the total loan amount, thus increasing the amount of the original loan amount. So instead of the loan getting smaller with each payment, the loan actually gets bigger – hence the word negative amortization. Caution, this loan can hurt you. One big problem is that most people opt to make the minimum payment. Over time the loan grows to be unmanageable. This loan is not for everyone, and it is definitely not for a first time home buyer, the irresponsible, or the financially strapped consumer. This loan was designed for people paid with commissions and bonuses.